Hydrocodone is an orally active analgesic and antitussive Schedule II narcotic that is marketed in multi-ingredient Schedule III products. Hydrocodone has an analgesic potency similar to or greater than that of oral morphine. Sales and production of this drug have increased significantly in recent years (a four-fold increase between 1990 and 2000), as have diversion and illicit use. Trade names include Anexsia®, Hycodan®, Hycomine®, Lorcet®, Lortab®, Tussionex®, Tylox®, Vicodin®, and Vicoprofen®. These are available as tablets, capsules, and/or syrups. Generally; this drug is abused by oral rather than intravenous administration. Currently, about 20 tons of hydrocodone products are used annually in the United States. The typical therapeutic dose of 5 to 10 mg is pharmacologically equivalent to 30 to 60 mg of oral codeine. When taken with alcohol, it can intensify drowsiness. It may interact with monoamine oxidase inhibitors, as well as other drugs that cause drowsiness. It is in FDA pregnancy category C: its effect on an unborn embryo or fetus is not clearly known and pregnant women should consult their physicians before taking it. Hydrocodone can be habit-forming, and can lead to physical and psychological addiction. In the U.S., pure hydrocodone and forms containing more than 15 mg per dosage unit are called hydrocodone compounds and are considered Schedule II drugs. Those containing less than 15 mg per dosage unit are Schedule III drugs. 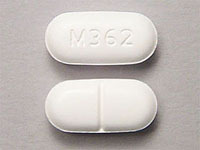 Hydrocodone is typically found in combination with other drugs such as paracetamol (acetaminophen), aspirin, ibuprofen and homatropine methylbromide. Symptoms of hydrocodone overdose include respiratory depression, extreme somnolence, coma, stupor, cold and/or clammy skin, sometimes bradycardia, and hypotension. A severe overdose may involve circulatory collapse, cardiac arrest and/or death.